If you are suffering from a tooth ache, it’s probably time to see a dentist. 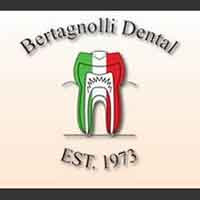 The dental office of Bertagnolli Dental offers something for the entire family, from a routine exam to oral surgery. If you are suffering with a toothache and are looking for an oral surgery dentist in Westminster, we provide the personalized and comfortable dental care you are looking for. When you are looking for an oral surgery dentist, it’s important to understand what is going on within your tooth. When the nerve tissue inside your tooth begins to degenerate, a root canal is required to keep the tooth from abscessing. Without this treatment, you can develop a severe infection. A root canal will save both your tooth and the surrounding tissue. Our staff strives to provide the best in patient dental care. We have a comprehensive list of restorative, general and cosmetic dental care services to meet the needs of your family. When you need an oral surgery dentist in Westminster we make it our goal to pay careful attention to your specific needs and objectives.